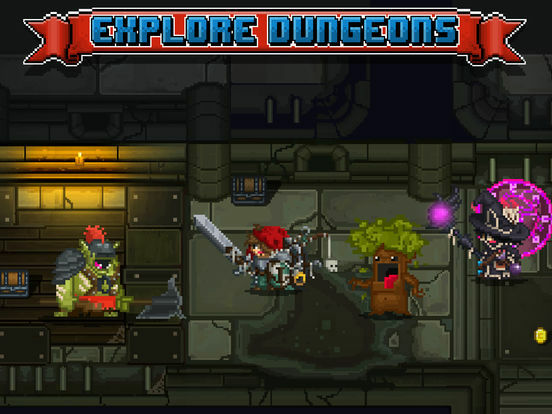 Explore a vast new MMORPG world inspired by your favorite 8-bit & 16-bit dungeon crawlers. 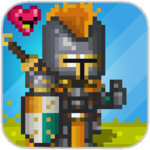 Bit Heroes captures that charm and nostalgia of your favorite RPGs, delivering them seamlessly to your mobile device. Collect and craft thousands of pieces of loot to increase your power. 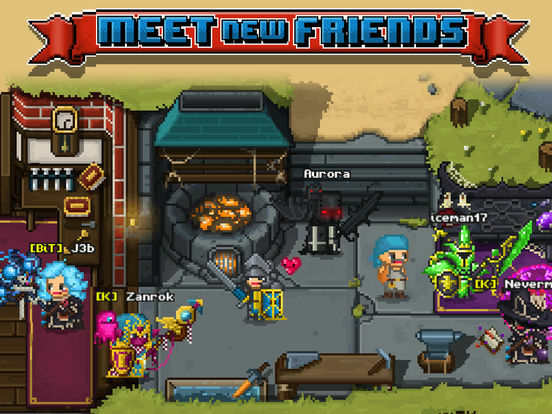 Build your team by capturing monsters and bosses to fight at your side in old school, turn-based combat. 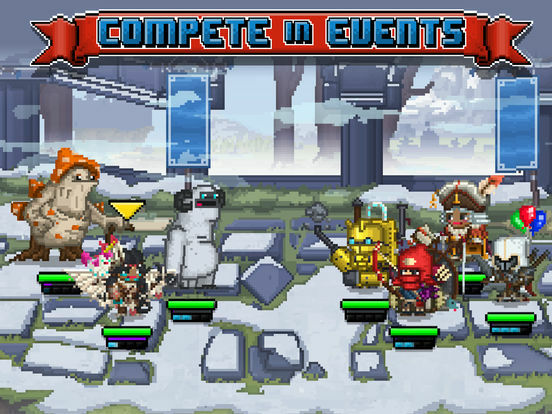 Prove you’re the mightiest hero in the land by competing in the PvP arena, Raids, and weekly events for awesome prizes! 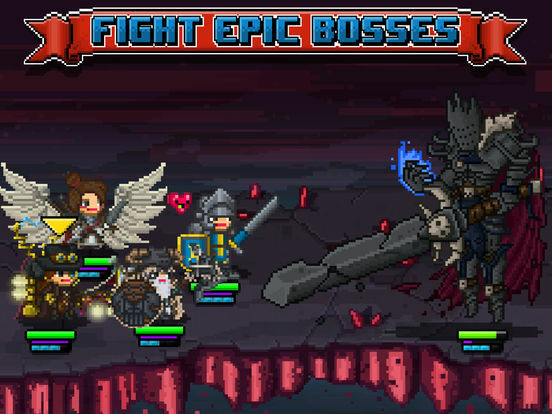 Take your most powerful friends and guildmates along to battle at your side! 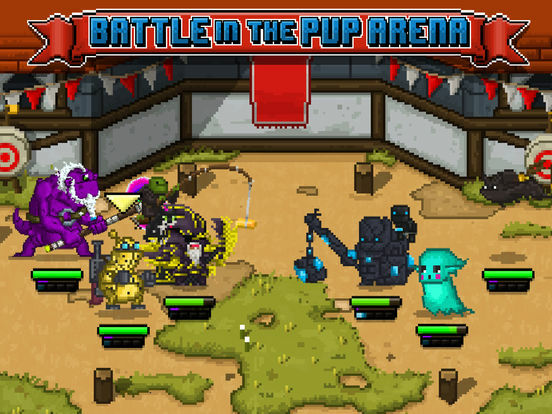 It’s possible that updates to Bit Heroes can remedy that, because there are the bones of a very simple but fun game here that thrives on its charm, nostalgia and humor. It just hits a wall way too quickly in its current form where one wonders what there is to do but churn through the same battles over and over again, and that gets old much too fast to be saved by everything else.